Come celebrate with us! The 50th Anniversary will be celebrated throughout the year and there are multiple ways you can participate. 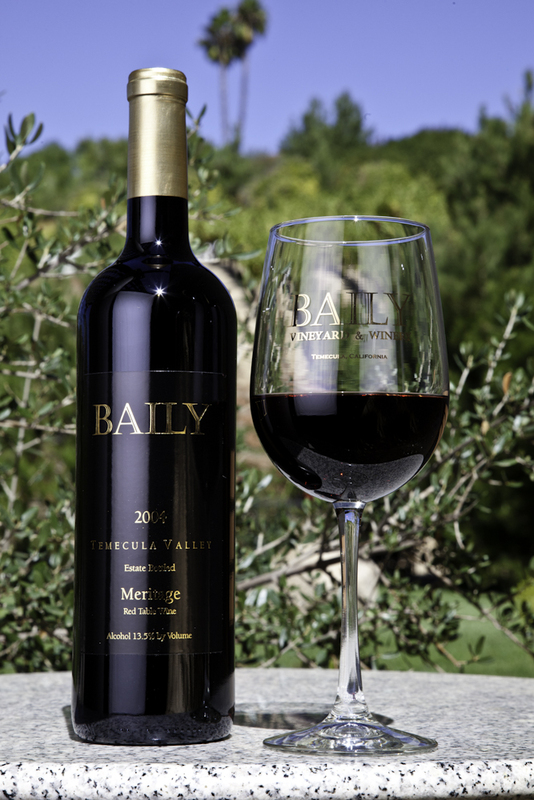 Submit your favorite Temecula Valley Wine Country memory and historic photo. We’ll share via social media and on our website. Celebrate your 50th With Us! Do you have a 50th birthday or wedding anniversary in 2018? Visitors who show ID or documentation indicating a 50th milestone (e.g. anniversary or birthday) will be given a commemorative wine glass and wine bottle tote and gain access to various wine country perks at participating wineries throughout the year. 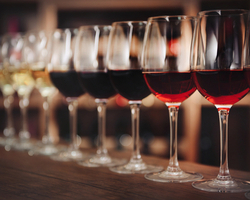 Click here for participating wineries. Plan to attend CRUSH, a Wine & Culinary Showcase on September 29, 2018 and upgrade your ticket to the 50th Anniversary package and receive 50th anniversary souvenirs. 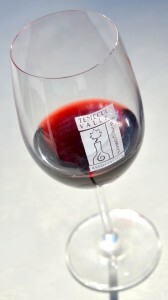 Purchase a bottle (or a few) of Temecula Valley 50th Anniversary limited edition commemorative regional wine. 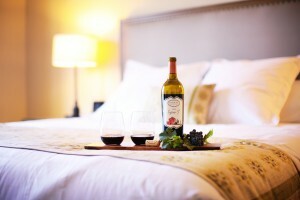 Special stay packages at select hotels to include wine tasting and hotel accommodations. 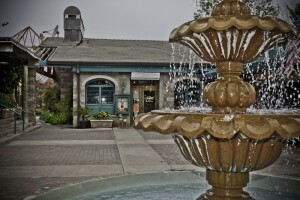 Souvenir merchandise available for purchase at the Visitor Center in Old Town Temecula. 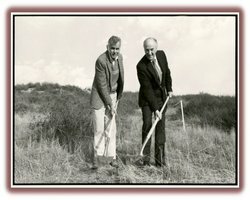 Visit our website to see the timeline of Temecula Valley Wine Country, historical photos and visitor and winery stories. Posted in Winery News | Comments Off on Celebrating 50 Years! Rinse turkey with running water and remove neck and giblets. Prepare brine by mixing honey, water, and salt in a large bowl until salt dissolves. Add chicken stock and stir. Line stock pot or use a brining bag and place turkey inside. Cover with brine and refrigerate for at least 12 hours and up to 24 hrs. Pre-heat oven to 350 degrees. Remove turkey from brine. Pat dry. Place turkey on roasting pan, breast side up. Cover wings with foil. Squeeze lemon into turkey cavity. Add thyme, sage, and squeezed lemons inside cavity. Coat inside and outside of turkey with Tuscan Herb Avocado Oil and sprinkle with salt and pepper. Oak Mountain Winery’s Tuscan Herb Avocado Oil gives a lovely crispness and flavor to the skin of this juicy holiday turkey. Insert oven thermometer into thigh or breast. Loosely cover with foil and cook until thermometer reaches 160 degrees, remove foil and cook until thermometer reaches 170 degrees. Remove turkey from oven and let rest for 15-20 minutes before carving. 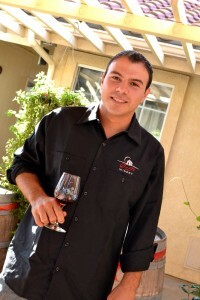 For more Temecula wine country recipes, click here. 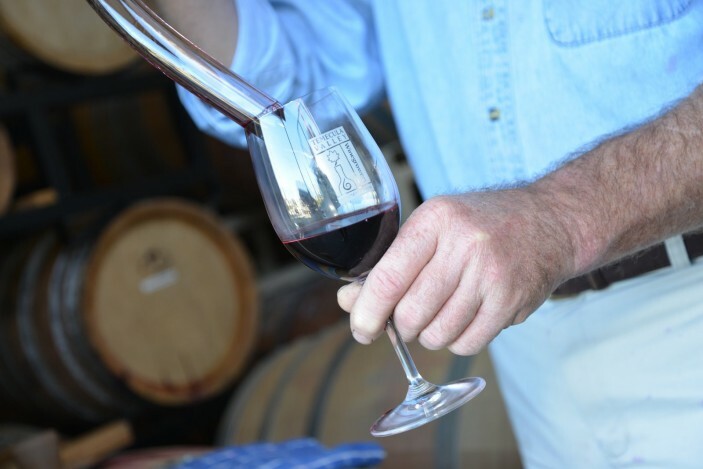 Founded by entrepreneur and savvy businessman Ely Reeves Callaway Jr., Callaway Vineyard & Winery has been a Temecula Valley wine country institution for 40 years. 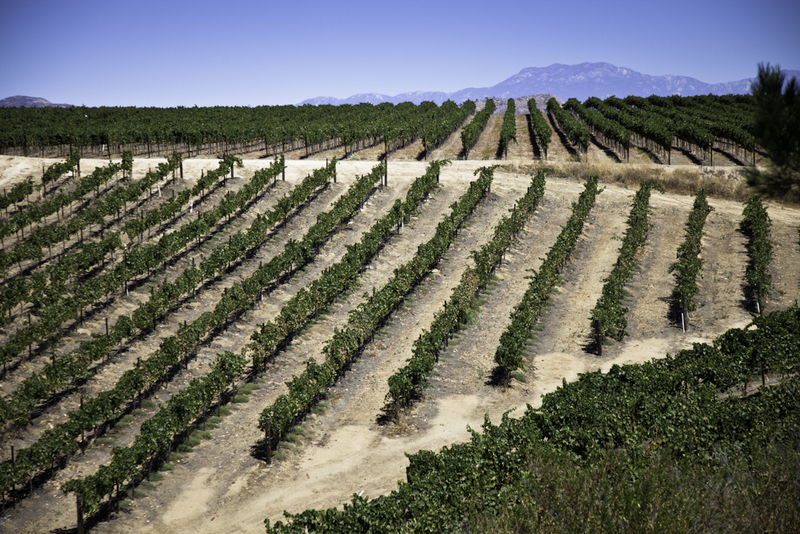 After extensive research in the late 1960s, Ely decided to plant his roots in Southern California’s South Coast AVA to take advantage of the “Rainbow Gap,” the gap between the mountains that allows Pacific Ocean air into Temecula Valley, creating a vine-friendly climate consisting of cool nights and warm days. 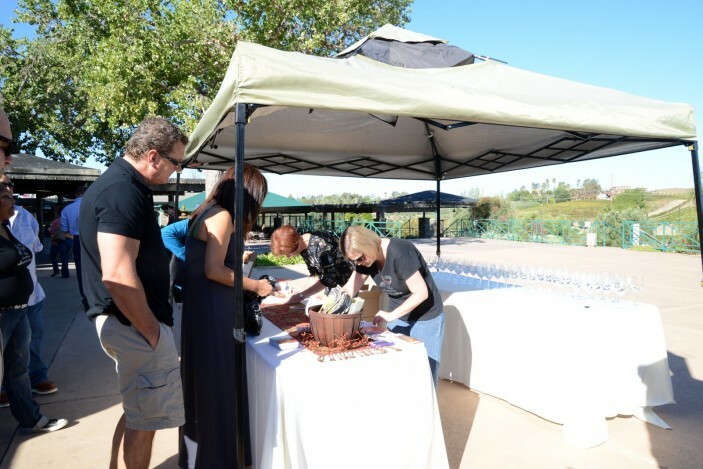 The Callaway vineyards were planted in 1969 and by the early 1970s, they were one of a handful of Temecula wineries producing and selling wine. Many say that Ely Callaway helped put Temecula on the map as a serious wine producing region. Now privately owned, the winery property was purchased by the Lin family of San Diego in late 2005. 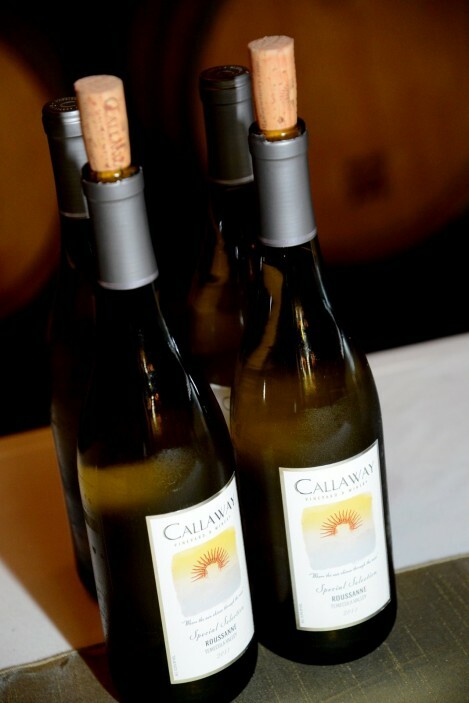 Callaway Vineyard & Winery wines are only available at the winery and are not available in any retail stores. 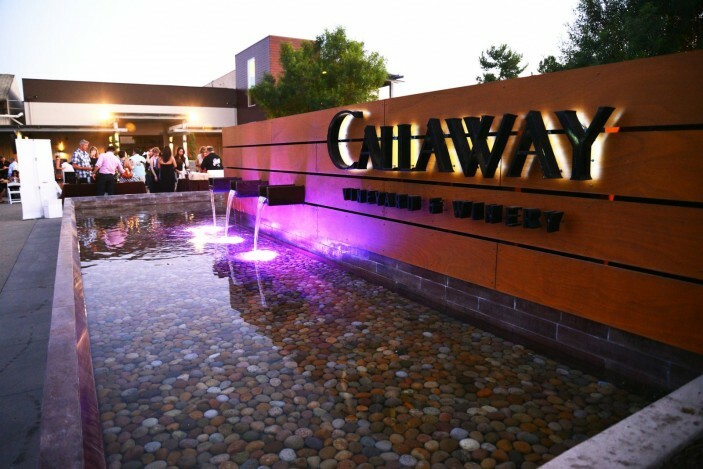 Still one of the region’s largest wineries, Callaway proudly makes wine only from Temecula Valley fruit. The winery currently grows seven different grapes across 220 acres. The estate vineyards are planted with Syrah, Zinfandel, Viognier, Sangiovese, Dolcetto and Cabernet Sauvignon grapes; additional acreage is planted with Cabernet Sauvignon and Chardonnay grapes. Callaway’s Special Selection wines are high quality, limited productions that best exemplify the Callaway legacy. These wines are meant to be accessible, food-friendly and fun! The brand’s “Winemaker’s Reserve” wines are aged longer to develop more complexity in the bottle. Chosen barrel by barrel for richness and depth, these wines are typically bigger and bolder to satisfy the seasoned wine lover. 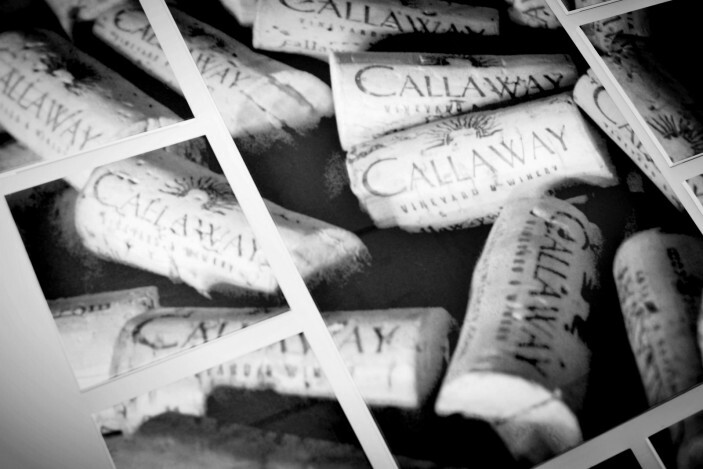 To shop for Callaway wine online, click here. 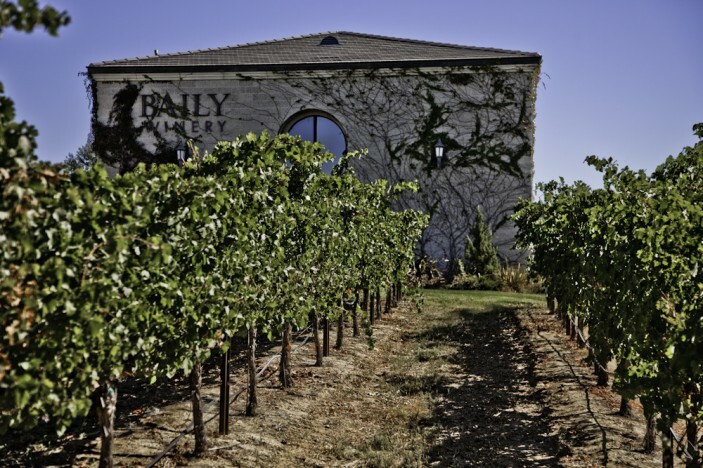 Renovated in 2012, the stunning Callaway tasting room is enclosed by glass windows and surrounded by rolling-hill vineyards. 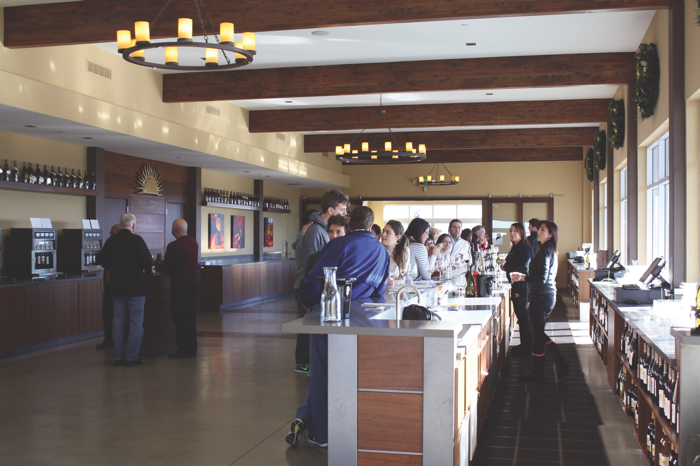 The Callaway tasting experience operates on a grand scale, offering daily tastings, automated wine tasting stations, patio wine flights and winery production tours daily. Tasting include 4-6 tastes from different tasting menu options for $10. 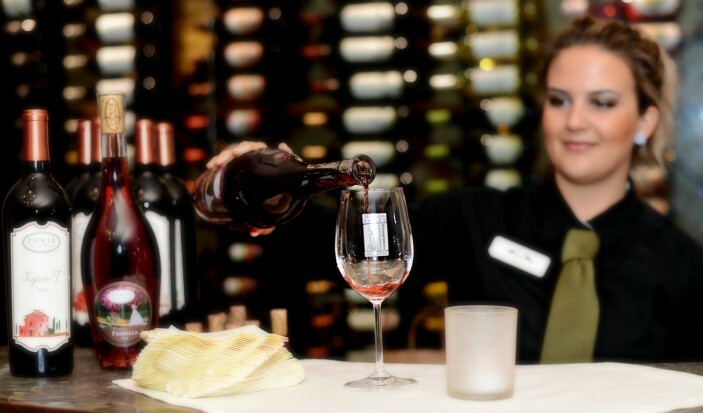 Enjoy the wine flights on our terrace while relaxing and taking in breathtaking views of Temecula’s wine country. Callaway’s online visitor center offers more details to help plan your visit. 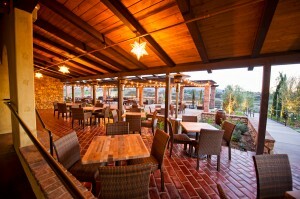 Meritage Restaurant at Callaway is a top dining spot in Temecula wine country for an al fresco lunch or dinner. Chef Michael Henry focuses on crafting seasonal California-Mediterranean cuisine and is proud to source from neighboring farms, butchers and other Southern California artisans. 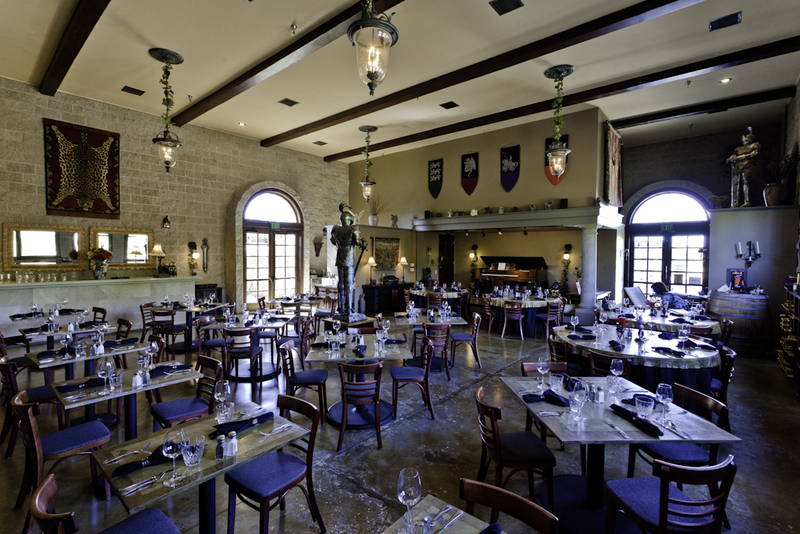 The restaurant livens up every weekend with Live Music Fridays and Sangria Sundays! View the restaurant menu. | Make a reservation. Callaway is especially proud to offer a fabulous winery space for large wine country weddings and private events all year round. 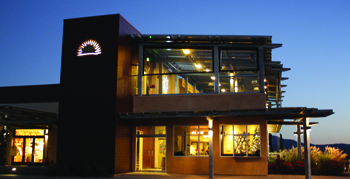 Check the events calendar for all the details on the winery’s upcoming holiday events.